A classic cable motif that can easily be adjusted to accommodate a range of projects and widths, the staghorn cable is featured in many all-over cabled knits. The antler-like cables nestle inside each other, creating an especially beautiful cable to insert into basic hats, scarves and sweaters. Check out the video tutorial below from PleasantSeas to see how the motif is knit. Pro tip: When knitting cables, look for a yarn that has good stitch definition (avoiding fiber like angora or mohair, which will produce a halo) to show off all your hard work! Pro tip: For a crisp staghorn cable over a smaller number of stitches, try cabling over only two stitches instead of four. c4b — cable to the back over four stitches: Slip the first two stitches onto your cable needle and hold them behind your work as you knit the next two stitches. Knit the two stitches off the cable needle. This creates a right-leaning cable. 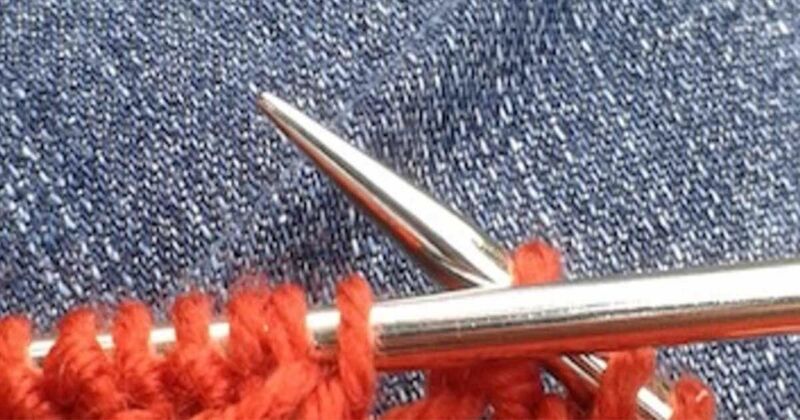 c4f — cable to the front over four stitches: Slip the first two stitches onto your cable needle and hold them in front of your work as you knit the next two stitches on your left needle. Knit the two stitches off the cable needle. This creates a left-leaning cable. The staghorn cable is created over 20 stitches in a six-row repeat. The cable motif itself is actually 16 stitches wide, flanked by two stitches of reverse stockinette on either side. You can easily knit the pattern below into any plain stockinette swatch, scarf, hat or sweater that is more than 20 stitches wide. Repeat Rows 1 through 6 until your swatch or project reaches desired length or length of straight knitting indicated in pattern. This is a is a great pattern to use if you're looking to make a lace project that is fancy enough to impress while still sturdy enough to last through everyday use. A delicate yet sturdy overall lace stitch that's great for making hats or market bags, the bird's eye lace will turn you into a professional knitter of yarn overs! With this tip, you can breeze through the chore and get started on your project.